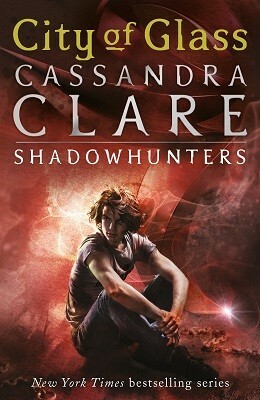 Third in Cassandra Clare's internationally bestselling Mortal Instruments series about the Shadowhunters. Discover more secrets about the Shadowhunters as they fight to protect the world from demons in the third book in the internationally bestselling series. Amid the chaos of war, the Shadowhunters must decide to fight with the vampires, werewolves and other Downworlders - or against them. Meanwhile, Jace and Clary have their own decision to make: should they pursue the love they know is a mortal sin? This edition contains a map and a new foreword by Cassandra Clare. Read all the sensational books in The Shadowhunter Chronicles: The Mortal Instruments, The Infernal Devices, Tales from the Shadowhunter Academy, The Bane Chronicles, The Dark Artifices, The Last Hours and The Shadowhunter's Codex. Of the 3 books in the mortal instruments series, I would definately say that this is the best.